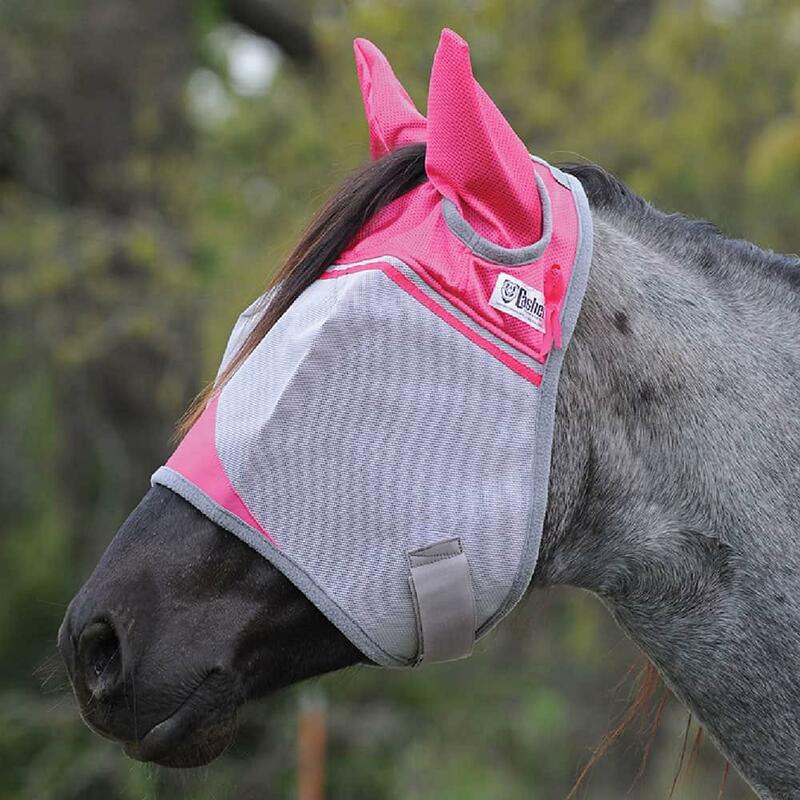 Help support Breast Cancer Research when you purchase the fly mask with pink mesh crown and ears. The standard mask with ears features soft, micromesh nylon sleeves to protect the ears and a slot for the forelock. Darts are strategically placed to keep the mask from getting into the eyes. Average Horse size. Soft micromesh ears and crown.